Queer Homes are back thanks to Munich’s community. Lesbians, gays, bi, trans* and inter* (LSBTI) – people from Bavaria’s capital donated more than 7000 Euros in mid-2018 in order to reopen two Queer Homes in Odesa and Kryvyi Rih, operated by Gay Alliance Ukraine in Kyiv, Munich’s twin city. Some time ago, the LGBTI-organisation had to close its community centres all over the country due to lack of funds. Munich Kyiv Queer wanted to remedy the situation and is now setting up its own sponsorship programme. Join in! Gay Alliance Ukraine before had established seven Queer Homes in recent years. In 2016/2017, the funding from abroad had run out and the committed activists who had been involved in Queer Homes’ activities suddenly stood on the streets. But these meeting places were a successful project because they had mobilized so many people in their free time to engage in joint activities, including political ones, on a voluntary basis. There has never been anything like this in Ukraine before! It seemed natural therefore to bring back the highly motivated activists to their centres. “The local activists have repeatedly stressed how important it is for them to have rooms where they can offer their own voluntary events,” says Uwe Hagenberg, Munich Kyiv Queer’s spokesperson. It was him who had the idea for the sponsorship . Queer Home’s activities range from counselling, self-help and leisure time to political campaigns. A good PR might help! 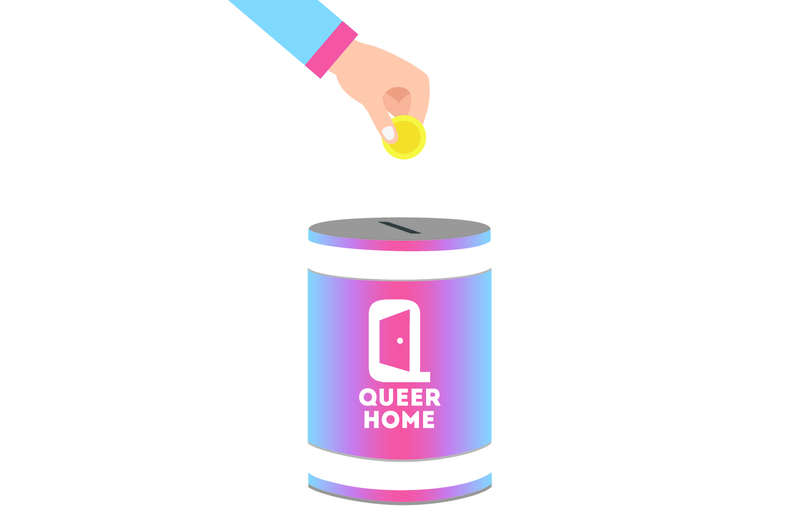 Donators who support Queer Homes will be happy to see her own name given to any of the newly opened Queer Homes. “Realistically, however, we first want to support two of these centres , Odesa and Kryvyi Rih,” says Hagenberg. “Although the annual rents for such locations are not very high, we must take care to have enough money for the years to come. In the medium term, our Ukrainian partners should re-start financing their Queer Homes by themselves. Please contact: Uwe Hagenberg.